This past weekend I took my unborn son on his first Soweto Marathon 10km run. I say this, because had I been running this race under normal circumstances, I would have run the half marathon as I have done in the past. This year, it wasn’t so much about me but about my baby, and what an experience it was! I made sure I had my own supply of water in the form of my camelbak (water pouch on my back), so I didn’t have to stop or rely on reaching a water point in order to get hydrated – this was key! 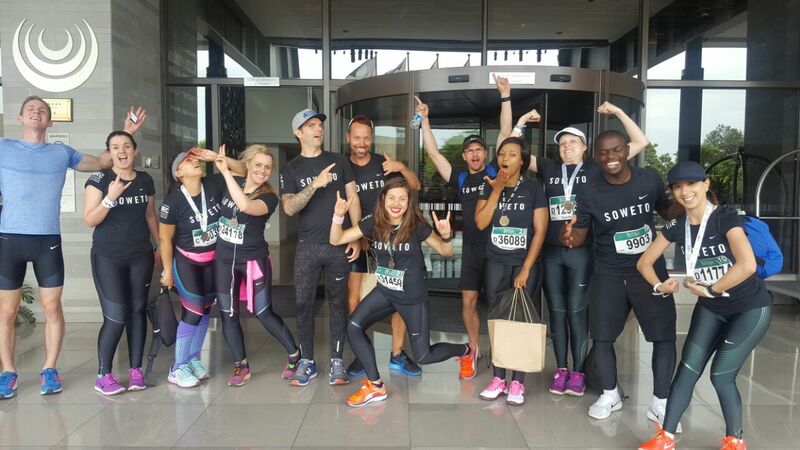 I must say, what got me off to a winning start was the incredible support and preparation for the race the Nike Running Club (NRC Joburg) and Nike Training Club (NTC Joburg) provided! For anyone participating in any kind of long distance event – Nike’s respective clubs are great at providing expert advice from their coaches and positive re-enforcement if you’re feeling any kind of nerves or jitters before your first race. They certainly made me feel at ease in my pregnant state that I could do this. I loved how there was a pacer and group to run with to fit every runners’ pace – even mine! It created an incredible vibe and definitely made the tough bits of the route that much more bearable. If you were running on your own – you wouldn’t have felt that way if you were running with the Nike pacers and the NRC runners. I was lucky enough to have a wing girl second to none! My fellow blogger and 10K rookie ‘Tech Girl’ (a.k.a Samantha Wright) was with me every step of the way. One could say this was a first for both of us – it was my first long distance race while pregnant and it was her first 10km race ever! So we were both ‘moral support’ for one another. We would have loved to run the whole way – but unfortunately, my condition didn’t allow for that, so we finished the course run/walking. It was a great atmosphere and the camaradarie between the runners were great! 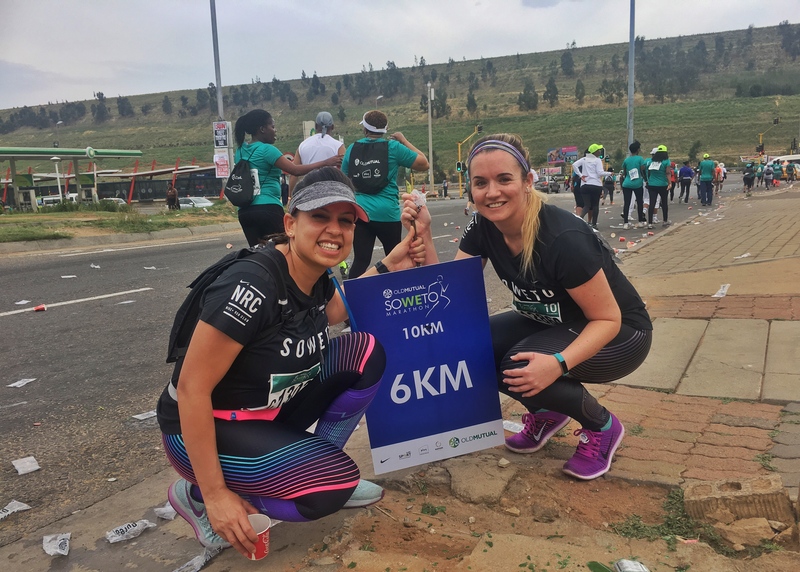 Would I do it again in my pregnant state – yes, for sure – it wasn’t easy and we finished in 1’45, which is a lifetime for me under normal circumstances, but it was great fun and an amazing sense of achievement crossing over the finish line in the middle of FNB Stadium. I am proof that just because you’re pregnant, doesn’t mean you cannot do things like this and challenge yourself physically – it’s very possible to do it. However, I must emphasise, if your doctor is in support of what you would like to achieve like mine was, then there really is no reason you cannot do it too. Couple with that – the incredible (FREE) support provided by Nike’s Running Club – you have all you need to do what I did.